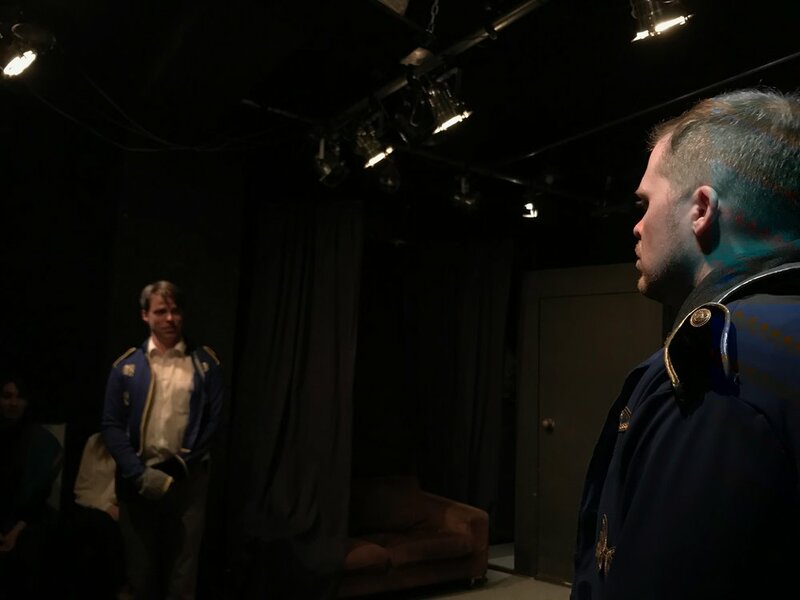 We finished off the year with a Genre Showcase Show, improvising two plays in the style of Jane Austen and Film Noir. Everything really came together after two months of rehearsals and a few choice costumes added just the right touch to each play. 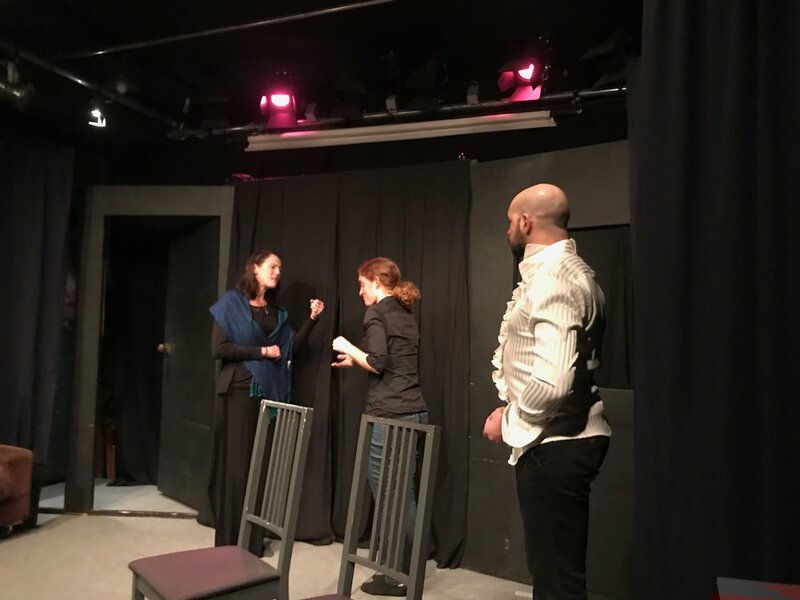 Unlike regular long form improv, there is no editing from onstage during an unscripted play, which presents new challenges for the improvisors, as on-stage editing is a technique we usually rely on heavily. 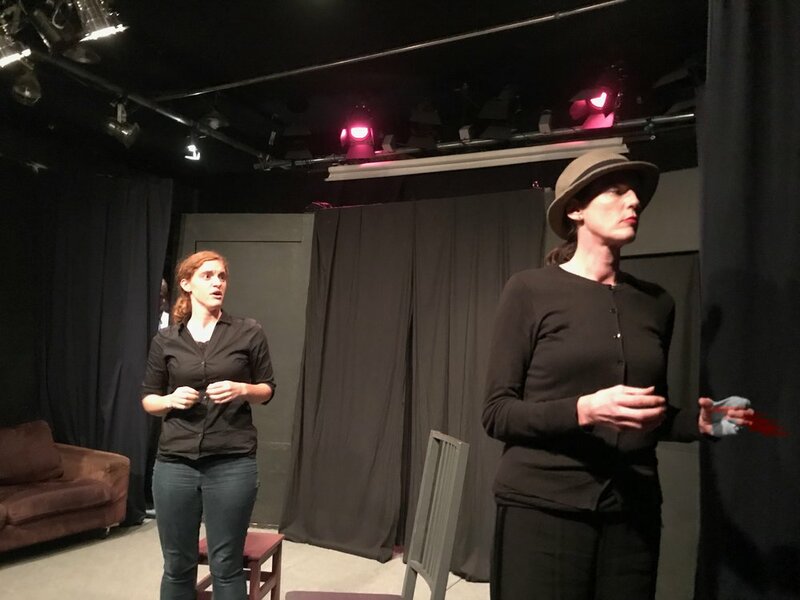 Drawing on Chris’ training with Impro Theatre in Los Angeles this summer, we also incorporated “soap blocking” for more dramatic staging, as well as lighting and back ground music and wonderful sound effects by Stageboy Jack of Our Space.